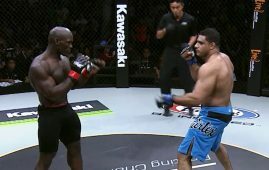 American Ben Askren, ONE Welterweight World Champion, will be entering a new territory on Saturday, 2 September to fight Swedish contender Zebaztian “The Bandit” Kadestam in the main event of ONE CHAMPIONSHIP Shanghai, China. Malaysia World News has received a full report and interview with Askren today from ONE CHAMPIONSHIP. (Watch the full video interview above). Askren has conquered ONE Championship and become the biggest star in the constantly-growing world of martial arts in less than four years. Known by the moniker “Funky,” Askren made an impact in his first two assignments in ONE Championship, submitting Bakhtiyar Abbasov with an arm-triangle choke in his May 2014 promotional debut before thwarting Nobutatsu Suzuki in the first round to claim the organization’s coveted welterweight crown three months later. 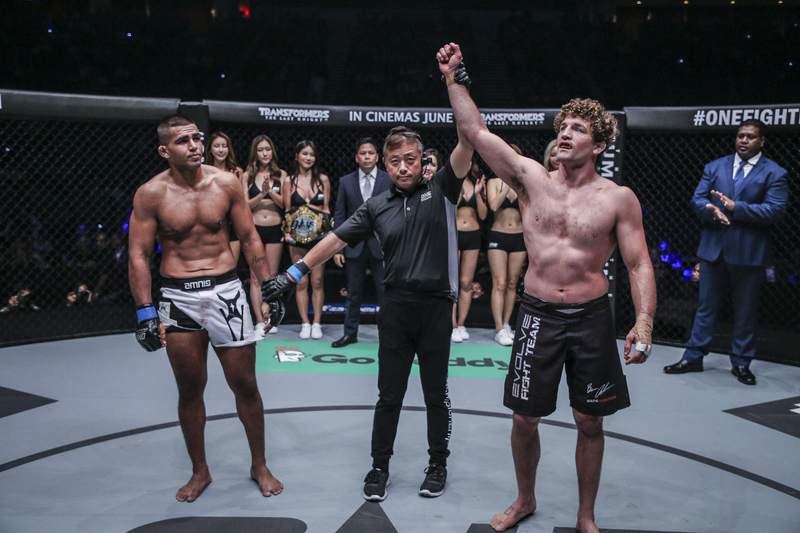 Askren has also defeated the Malaysia’s Agilan “The Alligator” Thani this past May in a first-round submission triumph and kept his immaculate record intact and the ONE Welterweight World Championship belt around his waist. According to ONE CHAPMIONSHIP statement, he has never lost a world title contest since outpointing Lyman Good for the Bellator welterweight belt in October 2010. Askren made history when he unified Bellator’s 170-pound’s top prize with the ONE Welterweight World Championship by pulling off a first-round demolition of Suzuki in August 2014. “I’ve held two belts. I’ve never lost them, and I’ve held them for a combined six years, which is a very, very long championship reign by anyone’s account,” he said. Askren made the transition to mixed martial arts and has flawlessly translated his impeccable grappling skills into his growing skillset. The 33-year-old American has been perfect in competition, amassing an immaculate professional record of 16-0 with 1 no contest en route to becoming the ONE Welterweight World Champion. “16 is the number of times I’ve stepped in the cage, and I’ve never taken a loss. I think I am one of the best in the world, and I think it also says a lot about the consistency I bring. I bring a great performance every single time I step in the cage,” Askren explained. In his eight-year run as a professional martial artist, Askren owns five submission victories and four knockout triumphs. Askren is highly regarded for his outstanding wrestling background that earned him two NCAA Division I national championship trophies and the privilege to represent the United States at the 2008 Beijing Olympics. While many children were motivated to first pick up a basketball because of Michael Jordan or kick a soccer ball because of David Beckham, Askren was a little different. Growing up in the Midwestern United States, a region traditionally known as a hotbed for amateur wrestling, Askren was motivated by the spirit of competition and wanted to participate in a sport where he could be the master of his own fate. During his illustrious college wrestling stint, Askren won 87 matches in a row, which made him one of the best grapplers in the collegiate ranks. Askren finished his collegiate wrestling career with a record of 153–8, with 91 of those victories coming by way of fall. Those 91 pins put him at third on the all-time NCAA Division I pins list. Even though there are many combat practices in mixed martial arts, Askren stands firm on the notion that wrestling is the most vital discipline in the sport. Wrestling has been often regarded as the best foundation in the sport as numerous wrestlers transitioned easily into the sport, including Randy Couture, Dan Henderson, Daniel Cormier and Frankie Edgar. Throughout the course of the sport’s history, wrestlers have shared the cage with other practitioners on numerous occasions. In the current state of the sport, wrestling has become a necessary requirement for combatants to extensively learn. “If you’re going to ask a lot of the mixed martial artists, they’re going to say that wrestling is the number one martial art to learn,” Askren stated. Askren is universally recognized as one of the best welterweights today and one of the best professional martial artists in the world pound-for-pound. 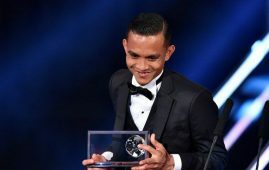 The undefeated ONE Welterweight World Champion has been all over the globe, competing in countries such as the United States, Singapore, United Arab Emirates and the Philippines. Since being part of the ONE Championship roster, Askren has travelled 108,000 kilometers for the promotion’s blockbuster events. “I really enjoy travelling. My trips to Asia have been a pleasure for me. I always enjoy seeing new cultures and learning new things,” Askren stressed. THEY’VE DONE IT!!! VIETNAM are. KUALA LUMPUR: “The treatment was very. The former plus size model of Samoan. Jakarta, Indonesia, 22 September 2018 –ONE Championship™. 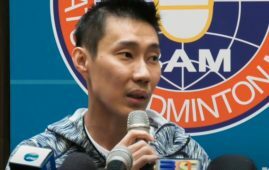 KUALA LUMPUR: “Please give Chong Wei. 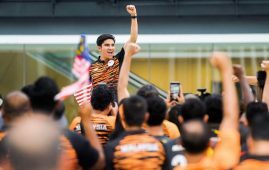 PUTRAJAYA, Aug 10 — Youth and. KUALA LUMPUR: YPC International College has. 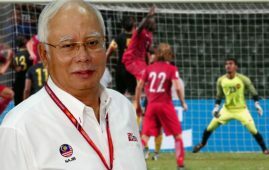 PUTRAJAYA: Datuk Seri Najib Abdul Razak. 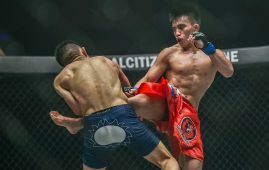 Jakarta, Indonesia: ONE Championship electrified the. Jakarta, Indonesia: The largest global sports. KUALA LUMPUR: The Akademi Tunas Bandar. 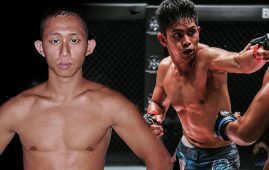 Myanmar: ONE Championship returned to the. Pic File Kuala Lumpur: A paradigm. One Championship Jakarta 16 Sept: Alain. 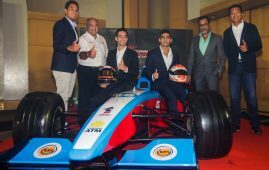 Putrajaya – Acronis, an international hybrid. September 2017 – Jakarta, Indonesia:. The Malaysian Sabahan Worrior, Muhammad Noor. Ann Osman of Malaysia was defeated. 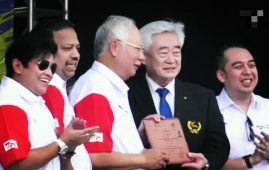 KUALA LUMPUR 9 Jan.- Mohd. Faiz. 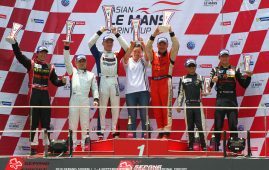 SEPANG, 2December 2016–With the championship crown. 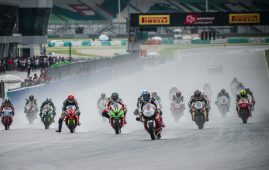 SEPANG, 28November 2016–Malaysia’s Moto2 starHafizh Syahrin. 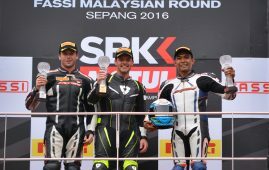 SEPANG, 29 October 2016 –The contract. 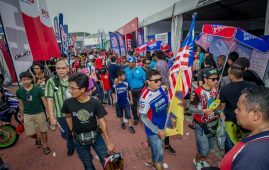 READY FOR THE MALAYSIA MOTOGP? 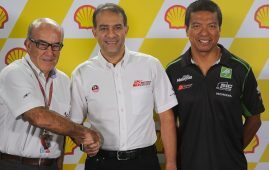 The Shell Malaysia Motorcycle Grand Prix. 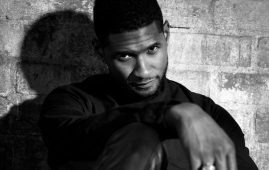 Usher will be performing at the. Round 3 of the 2016 Pirelli. SEPANG, 7 September 2016 – Hot. 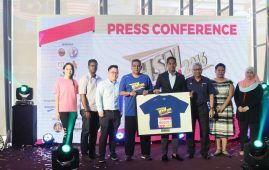 PUTRAJAYA, 29August 2016 – HSN21KM was. Geraldine Read will be racing for. 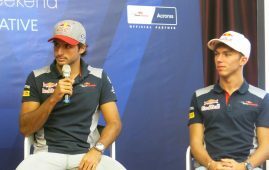 SEPANG, 14 May 2016 – Former. 06 May 2016 – Singapore: ONE. KUALA LUMPUR 29 APRIL – The.